I thought it would be easy this time. After all, I’ve already decluttered my entire house from top to bottom twice before. I wrote a book about it. I virtually declutter other people’s messes. This time will be a piece of cake I told myself. I’ve been battling discouragement and fatigue since I started this project. At times, I feel incredibly overwhelmed. Making decisions about what looks like a huge pile of junk is ridiculously hard. I’m desperately tempted to just give up. I tell myself, it’s just stuff. Why does it matter? It’s only a closet. It’s not hurting anyone. Only, I know those are lies. The stuff that “isn’t hurting anyone” is taking over our house again. I’m late because I can’t find my shoes and I’m digging through piles of laundry to find clean clothes and I really have no idea where I put my keys. And then company is due any minute and I’m panicking as I start shoving clutter into corners and I really hope they’re late. The mess is hurting me – and I think it may be hurting you, too. When we’re late and embarrassed, when we can’t find stuff or have people over, and when we can’t do the amazing things we want to do because we’re buried under stuff – that’s when we want to make excuses, but deep down, we know. It could be better. I promise you – there is so much beauty at the end of the clutter. It will be worth every difficult, struggling second. Yes, we’re going to feel discouraged and maybe even hopeless at times, but let’s not give up. We can keep making progress as we press forward. And you know what else? Discouragement thrives in solitude, but it withers when there’s support. Find support. Open up to a friend, email me, or join the Facebook group. Let’s choose to surround ourselves with people who will encourage us. 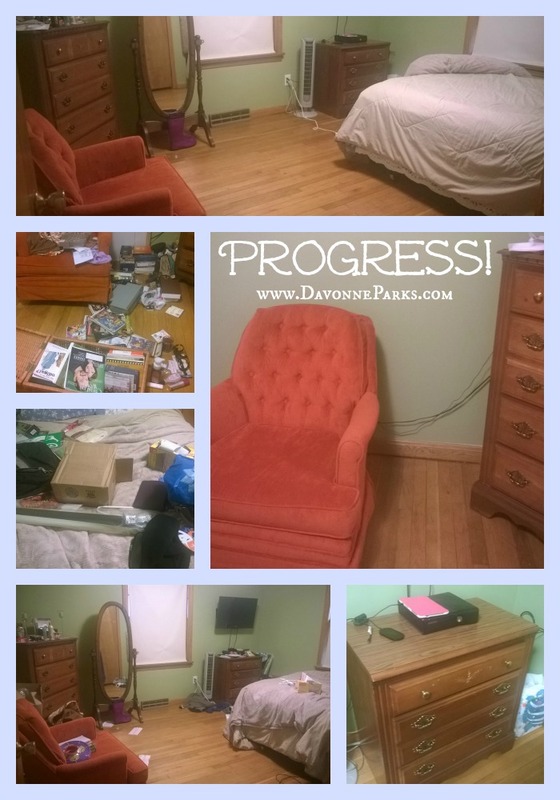 Day 10: I spend two hours cleaning out part of the master bedroom on Wednesday. I start with the easier piles because I feel very overwhelmed and need a few quick successes to help re-motivate myself. Day 11: The master closet… I dread this job and pull in all the encouragement I can get. I post photos on the Facebook Challenge page, I call my mom, and I text a desperate message and picture to my friend Katie. The encouragement I receive from the people I reach out to is enough to help me get started. Plus, Lily puts away some things for me and tells me to toss several items I’ve been debating over. Sometimes it’s nice to be reminded that it’s okay to let it go. After three hours, the job is finished. I’m so happy that I keep the closet door open for the rest of the evening just so I can see inside. And when Grace tells me there’s enough room in there for an entire (stuffed) puppy store, I know exactly where she’ll be playing on Saturday afternoon. 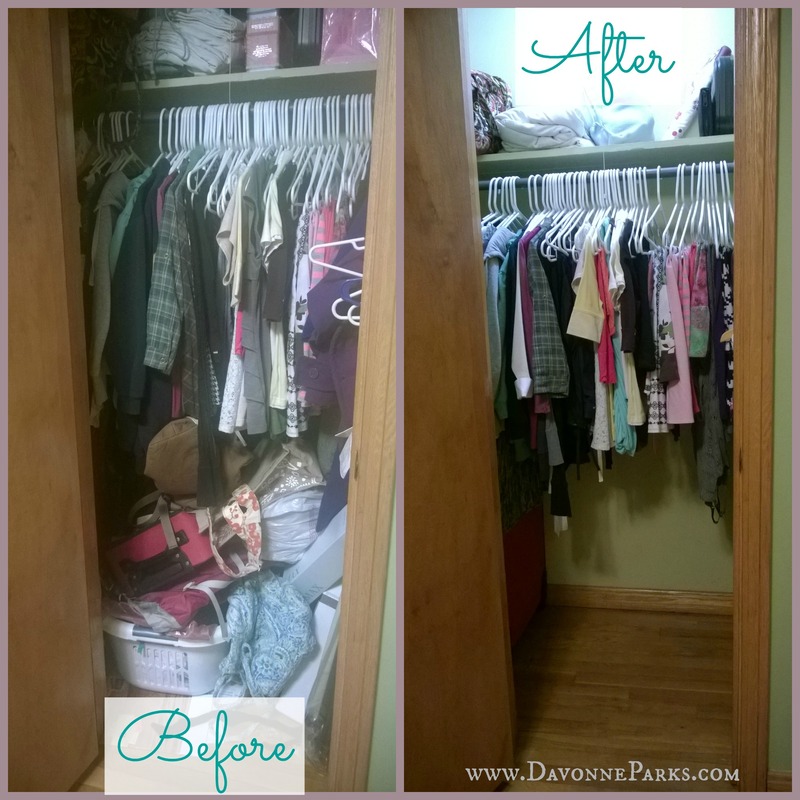 When we lose clutter, we gain usable space. Filled 2 trash bag with trash. Great job! 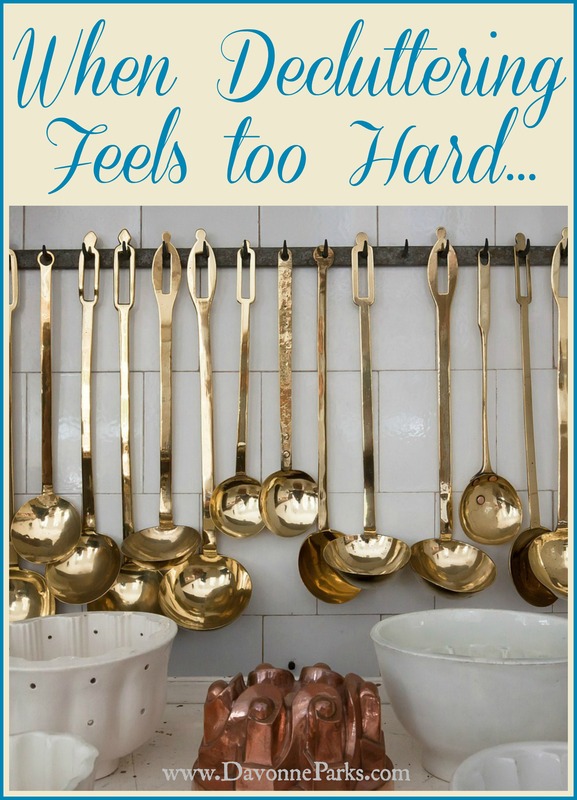 Decluttering is an overwhelming task. I’ve been working at it for 2 years and I am beginning to see the light at the end of the tunnel. Don’t despair! Thank you so much! I’m three rooms down, whoohoo!! You’re doing a great job Davonne! I’m enjoying seeing your progress. Keep it up! Thank you so much, Hilda!